How big is Hong Kong? Hong Kong, one of two special administrative regions of the People's Republic of China, is just over 1,100 square kilometres in size. A lot of people share space in Hong Kong, with the population now at around 7 million. 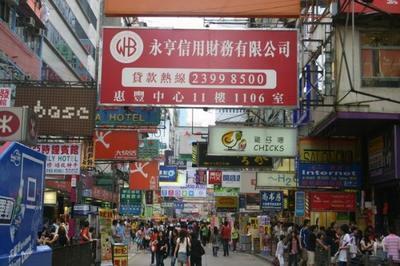 Hong Kong has two official languages, Chinese and English. Cantonese is the dialect spoken by the vast majority of the population. The official currency is the Hong Kong Dollar. 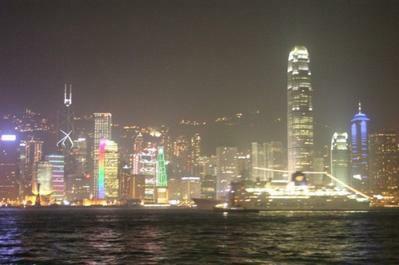 Hong Kong's famous for its skyline right? Where's the best place to see this from? It is indeed. 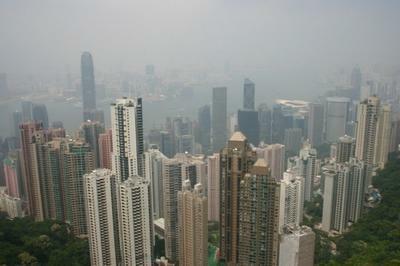 And well, the best location for breathtaking views out over the city is probably Victoria Peak. You can get here by using the tram that's been in operation since 1888. Today, the trip up to the viewing point takes around 10 minutes and you'll find yourself 396m above sea level here. From this point, you'll be able to take in the spectacular view of the city's impressive skyline. Anything else that shouldn't be missed? 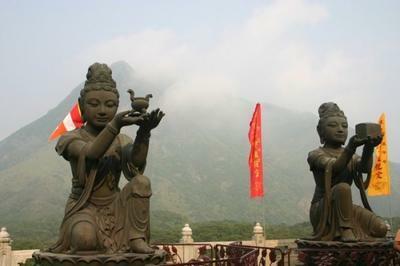 You should definitely try to check out the Tian Tian Buddha on Lantau Island. 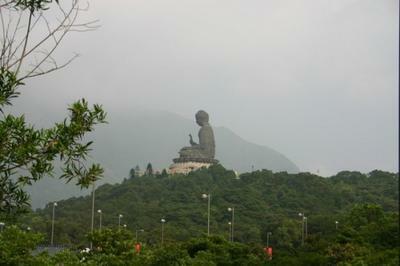 It is also called 'Big Buddha' and is one of the world's biggest outdoor Buddha statues. 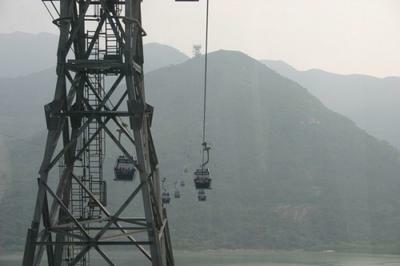 Thousands of people visit it every day and it's also a bit of an adventure to get to it, as you'll have to take the 'Ngong Ping 360' cable car. The Avenue of Stars is another must-see while in Hong Kong. It's in Kowloon at the Tsim Sha Tsui promenade. 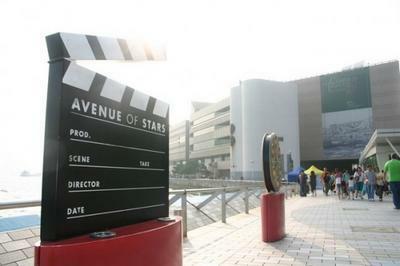 Here, stars along the avenue pay tribute to Hong Kong's favourite actors and actresses. This is also a good place to get a shot of the famous skyline and is seen as the place to go for the best views of the 'Symphony of Lights' show. 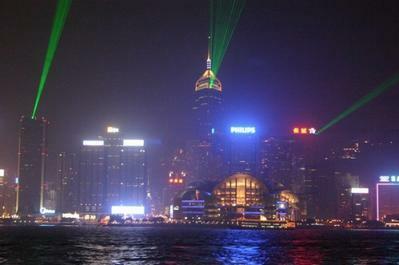 This show takes place every night at 8pm and for 15 minutes lasers and coloured lights shine from more than 40 buildings on both sides of the harbour. 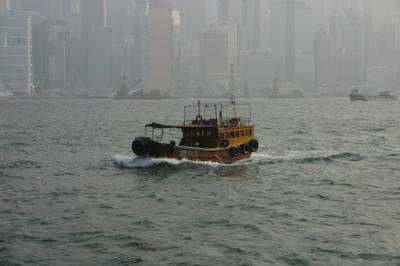 One of the Hong Kong's two main theme parks is Ocean Park. Popular with visitors, this place combines traditional theme park fare such as roller coasters with other attractions like aquariums. You'll see sharks, dolphins and more on show here. What about museums? Are any of them free? While the museums in Hong Kong don't offer free admission all the time, many of them do offer free days and it's a good idea to keep an eye out for these. Wednesday seems to be the most popular day for free entry to lots of these museums. Some of the places you could check out include the Hong Kong Museum of History, the Hong Kong Museum of Art and the Hong Kong Museum of Science. 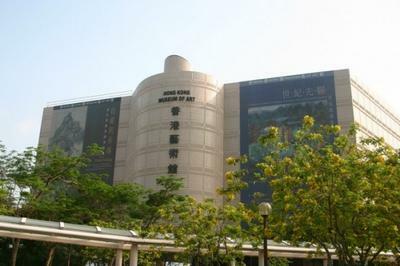 Of these, the Hong Kong Museum of Art on Salisbury Road is one of the most interesting. This museum houses more than 14,000 objects, ranging from Chinese paintings to artefacts to antiques. Splendid. Hong Kong has a lot of different kinds of shopping experiences for you to try out. One of the most famous shopping streets in Hong Kong is Nathan Road. All along this street, you'll find a huge selection of stores selling everything from clothes to toiletries. There's also an abundance of electronics stores here. Shopping malls in Hong Kong are nothing short of impressive. The Times Square Shopping Mall on Matheson Street is spread out over 16 floors, with a wide range of goods for sale. There are also a lot of places to eat and drink, and there's a cinema too. Another mall worth mentioning is the Harbour City Shopping Mall on Canton Road. Not only will you find around 700 shops here, but there are also 2 cinemas and 50 restaurants. There are a slew of bars all over the city but one of the best areas for a night out is probably Lan Kwai Fong. It's filled with bars and is located beside SoHo, which also has its own share of restaurants and bars. Like most major cities, it's probably best to have ID on you when you go out at night in Hong Kong. Well, if it's live music you're looking for then Club Cixi is probably the best choice. This venue and bar hosts live bands regularly. For drinking and dancing, it's a good idea to check out Lux. Resident DJs play music here into the early hours each night. For something a little less crazy, you could try New Derby. Smaller and more intimate than a lot of the Lan Kwai Fong bars, it's a good place to go if you just want to hang out and chat over a drink. The Buddha Lounge is another good bar to go if chilling out is the main agenda of your night. Is there anything to do that doesn't involve alcohol? Sure. One of the most interesting things to try out in Hong Kong is haggling at the Temple Street Night Market. 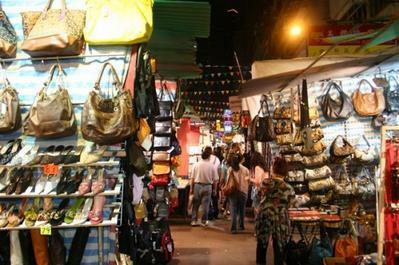 This is the busiest night market in the city and it's a good place to find clothes, watches, leather and more. Just remember, bargaining is key. There are lots of areas in Hong Kong where you'll find great restaurants. 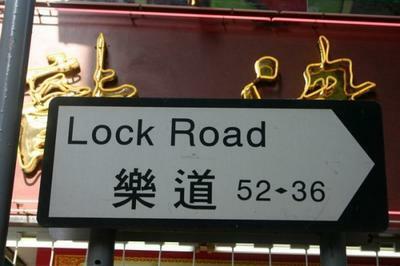 Probably one of the best places though, is Lock Road in the Tsim Sha Tsui area of Kowloon. Here you'll find a large number of restaurants with food ranging from Asian specialities to Turkish dishes. There are well represented here. For example, at Al Dente in Soho, you can sample a tasty selection of Italian dishes, including pastas and pizzas. Any other places you'd recommend? Zhing Nong on Lock Road is a great place to try if you fancy noodles or dumplings. It's a favourite with locals and serves a lot of food from Sichuan and Shanghai. If you're in the mood for fish, the Aberdeen Seafood Restaurant on Woosung Street is a good choice. It's close to the Temple Street Night Market and serves a huge range of seafood dishes, including more unusual choices like 'fish stomach stew'. Lots of Hong Kong's restaurants stay open until the early hours of the morning, so you'll always be able to find somewhere for a bite. Will I need to use public transport during my stay? You will indeed. Even though many parts of Kowloon and Hong Kong Island are easy to get around on foot, you will still need to use public transport to get to some attractions or just to escape the heat.